When world wide fear of WannaCry spread throughout the web and the news, people did not begin to immediately patch their systems. Instead, many decided to wait and see if the threat was moving further to the US and luckily to them a kill-switch was found. I truly believe his approach is dangerous to not just an organization, but also their partners and the overall security ecosystem to anyone associated with such organizations. 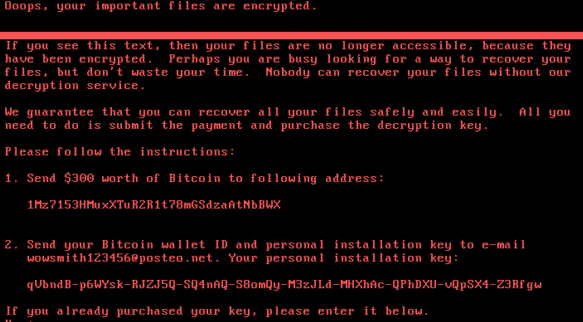 Furthermore, still a large number or organizations did not patch or make efforts to remediate any of the attack vectors from the EternalBlue vulnerability in time for Petya to attack them. I also honestly believe that not understanding something is also a combination between not taking a threat seriously and just playing dangerous (fire). While not everyone agrees with me, people need to start moving away from non-supported operating systems such as Windows XP, Server 2003 to newer supported platforms. This is not something that needs to be done because the Microsoft koolaid is strong, but instead it should be considered as a standard security practice performed and reviewed via due care at minimum. Furthermore, people need to start realizing these threats are equally as important on both a desktop and servers alike. These type of vulnerabilities don’t care if your server is segregated via a firewall, so if it finds its way into the so called “protected area” it will attack anything that has not been properly patched or remediated. What can an organization do to prepare? What should organizations do to mitigate? Yes, everyone should be concerned and cautious of what has happened so far in 2017. It is a sign of additional challenges to arise in the security landscape where more emphasis needs to be put on understanding the threats and building a layered approach. It’s definitely not going to be easy for everyone, but organizations need to start understanding that it is going to take extra effort to properly protect against growing threats.